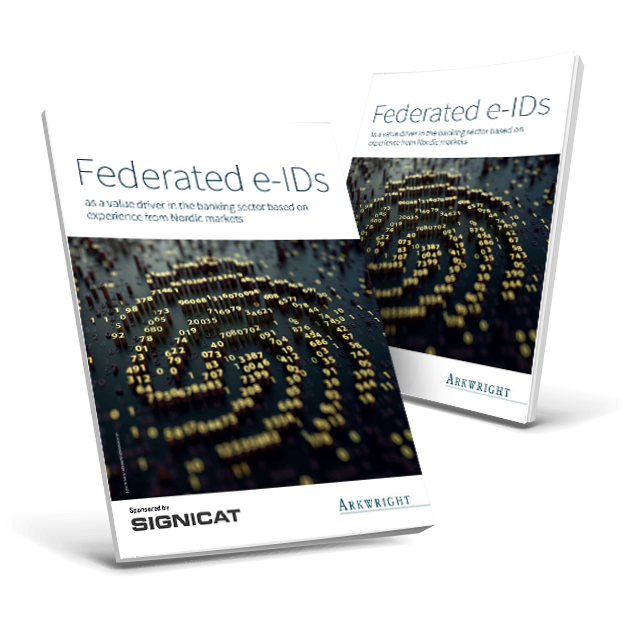 The need for robust and secure electronic ID solutions has never been more necessary. Download this Arkwright report to learn how such solutions can be achieved. In this report, we take a detailed look at how the Nordic countries of Sweden, Norway, Finland and Denmark have developed successful eID solutions. The Nordics are leading the way when it comes to embracing the benefits of eID, and it is essential for the rest of the world to take note. It is significantly easier to win a client who uses BankID rather than other forms of ID. From our experience, 7 out of 10 car loan applicants complete their applications when using BankID, as opposed to 2 out of 10 normally. People are increasingly seeking ways to do things quicker and more efficiently, while also maintaining a high degree of safety and security. eIDs are the future of identification, because they give the consumer exactly what they need, just when they need it.